Kickbox is a little-known initiative Adobe, the creative technologies company, offers its employees. The company has dished out thousands of red boxes to its employees. Inside is a candy bar, Starbucks gift card, and a debit MasterCard pre-loaded with $1,000.Adobe says this is all you need to kickstart an innovation idea: It could be an app, or an enhancement to an existing Adobe product that might never seen the light of day otherwise. But perhaps the best thing about the scheme? Adobe doesn't ask Kickbox recipients to produce receipts for their purchases. They can spend the cash on whatever they want. Clothes, beer, concert tickets - Adobe won't check up on them. 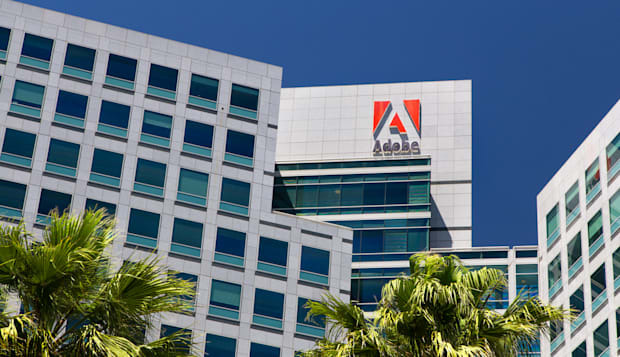 An Adobe spokeswoman told Business Insider that "it's all about trust." Giving employees the resources to explore whatever they want - even if it's not an area they work in for their day job - really encourages innovation. That's the aim of the scheme, Adobe wants to foster a culture of innovation within the business. All of Adobe's employees have the chance to take part in the scheme; they don't have to be an engineer, or even have an idea to request their Kickbox. The program has six color-coded levels the participants have to get through. Once they complete level 6, they earn funding from Adobe to pursue their idea further. Ideas created through the scheme so far include: A method to bring paper homework assignments to the digital world; a way to create video stories that sync images and music with mood and emotion; and creating a real-world game where users take part in creative challenges in real locations using GPS. Adobe's idea is similar, in a sense, to Google's famous "20% time" in which it allows employees to spend one-fifth of their working time to work on projects of their own choosing. However, only 10% of Google employees actually use it, according to Google HR boss Laszlo Bock, and former Googler, Yahoo CEO Marissa Mayer, once said: "I've got to tell you the dirty little secret of Google's 20% time. It's really 120% time." It's a bit different at Adobe. We're told it is allowing company time to work on the projects, although if employees want to extend that to their personal time, that's fine too.